"You don’t love someone for their looks, or their clothes, or for their fancy car, but because they sing a song only you can hear." Your wedding will be a unique reflection of you. I take the time to get to know my couples personally, and that allows me to create authentic, meaningful images. My shooting style has been described as a beautiful collision of candid photojournalism and artistic editorial fashion photography. Behind the lens I'm quietly unobtrusive, integrating artistic and creative qualities while keeping your photos fresh and real. I am fun and easy going and LOVE the chance to do a few wild things to get the shots we want. The heart of what I do. It shines through in every image. Dauss FOTO is owned and managed by Indiana artist, Dauss Miller, based in Fishers / Indianapolis and serving locations throughout the United States and destinations beyond. Dauss specializes in commercial fashion and fine art-focused wedding photography. "I'm an artist first." Dauss creates images with the intention to produce high-quality heirlooms that last generations. "Not only am I photographing your wedding story with you in mind, I'm also shooting this day for your grandchildren." 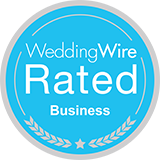 With over 75 5-star reviews over multiple platforms from past clients, Dauss believes excellent customer service and amazing quality should be the baseline of every wedding photography experience, and with his team of Indiana Wedding Photographers and Chicago Wedding Photographers, they strive to create a stellar experience unlike any other. 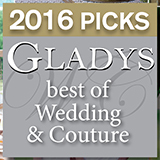 "For the past 5 years, we've been named as one of the Best Wedding Photographers in Indiana by theindyalist.com, expertise.com and Gladys Magazine." 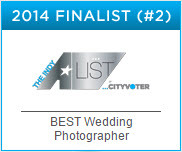 Don't forget, Dauss is a published fashion photographer, and he loves to boast that flair in his weddings! In addition to owning and operating a full-time fashion and wedding studio, Dauss is an active industry educator, speaking and mentoring through photography workshops, online courses, and e-books. Photography has been an intricate part of his life since first introduced to film cameras by his father at an early age, and he wants to share his knowledge with his peers to help elevate the quality of client experience and of the art of photography. He's also a member of Professional Photographers of America (PPA), and Wedding and Portrait Photographers International (WPPI). 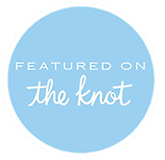 With work featured in some of the most widely circulated publications in the country such as TheKnot.com, The Wedding Concierge, and many more, Dauss has earned awards for imagery and customer service from many widely respected organizations. Dauss has shot at some of the most popular wedding venues in Indiana as well as some of the most unique hidden gems such as Indiana Roof Ballroom, Historic Union Station, Scottish Rite Cathedral, Indiana State Museum, Laurel Hall, The Conrad, D'amore, Omni Severin, Black Iris Estates, Lucas Estates, Gallery Forty-Two, Le Meridian, The Crane Bay, Regions Tower, Biltwell, Deer Park Manor, and Palais Royale. The list goes on. 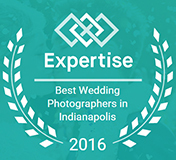 We are one of the most skilled and creative wedding photography studios in the Indianapolis area, including but not limited to Carmel, Zionsville, Fishers, Noblesville, Chicago, Louisville, and Cincinnati. He has even photographed weddings throughout the United States, including popular cities like Clear Water, Capitola, Cordiano, and Las Vegas. His love of travel has also brought us to destinations in Jamaica and even Europe. As a destination wedding photographer, his work typically takes him to 2-5 new locations each year. Hiring an American photographer to photograph your Italian destination wedding has many benefits, including the ability to deliver high quality, tangible products right here close to home. Portrait photography is an art form, and whether you are looking for family portraits, newborn portraits, or a boudoir photographer in Indianapolis, you can be sure that Dauss FOTO can help you accomplish your goals. As an award-winning portrait artist, we specialize in making you look and feel amazing.